Asia Cup 2018 will get underway from September 15. The Asia Cup 2018 trophy was unveiled in Dubai on Friday. 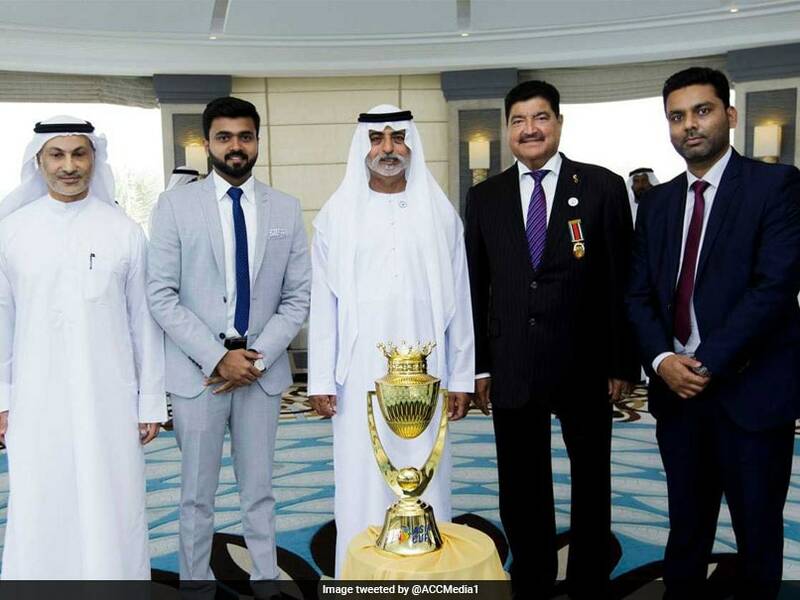 The trophy was put on display by the United Arab Emirates (UAE) Ministry of Culture, Youth, and Social Development head Sheikh Nahyan bin Mubarak Al Nahyan, Cabinet Member and Minister of Tolerance and Emirates Cricket Board Chairman. Team India will put their title on defence in the six-nation tournament which is scheduled to get underway from September 15. The official Instagram account of the Indian cricket team posted a video of the trophy unveiling and said, "The Asia Cup Trophy unveiled in UAE. What do you make of this beautiful Trophy?" The Asia Cup Trophy unveiled in UAE. What do you make of this beautiful Trophy? The Asia Cup 2018, over a course of a fortnight, will be played across two different venues in United Arab Emirates (UAE) namely, Dubai and Abu Dhabi. The tournament is divided into two different groups with India, Pakistan and Hong Kong placed in Group A.
India will be without the services of skipper Virat Kohli, who has been rested for the tournament. Rohit Sharma will lead the side in his absence. India have been the most successful team in the tournament, winning the title six times. Meanwhile, Hong Kong on Friday defeated favourites United Arab Emirates (UAE) in the qualifiers final to book their spot in the tournament. Group B includes Sri Lanka, Bangladesh and Afghanistan. Sri Lanka have won the Asia Cup title on five occasions while Bangladesh have finished as runner-up twice.